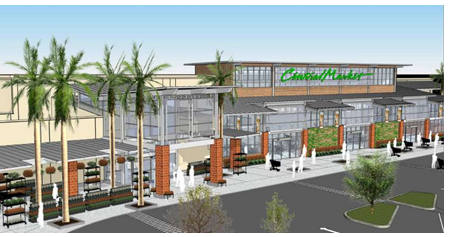 ​​​HOUSTON - Central Market in Houston announced that the high-end grocery store will undergo a $10 million renovation. The store will boast an additional 10,000 sf. A new facade is intended to brighten the exterior and a new atrium at the entrance will have vaulted ceilings and skylights. Inside, the store will feature 33 percent more room in the produce department, an expanded specialty grocery area with international selections and olive oil, a bigger dairy department, a single-lane-access checkout area and off-site employee parking. There also will be an information desk. The renovation will begin in late May and be complete spring 2017. The store will remain open throughout construction.